If you were to ask a hundred different professionals what effective operational excellence is, you’d probably get a hundred different answers. But no matter those differences, one thing is certain: True operational excellence requires constant monitoring and reevaluation of an organization’s business processes. In every business, there is always at least one area that could be improved. But how exactly does effective operational excellence and meaningful change take place within an organization? Sometimes it can occur through a major new initiative, a change of focus, or some other internal or external factor leading to upheaval within the business. But most of the time, change happens in a much less overt way; it happens in small increments, potentially over a long period of time. Some of the most lasting and impactful changes to the way a business operates, or the environment it operates within, happen more gradually. Instead of a sudden shock, managers and employees may one day realize significant changes have occurred bit by bit. Operational excellence—leveraging operations to achieve business growth—is an example of this type of change. At its heart, effective operational excellence is a discipline which aims to balance the triad of people, process, and technology. This balancing act generates benefits to both the top and bottom lines of the business, and delightful customer experiences in the process. It is no less essential to the survival and success of organizations than the big ideas of business transformation: Both must work in tandem. Some useful guiding principles can be found in the wide variety of existing operational excellence methodologies. In the same way that every organization has its own specific cultural requirements and desired outcomes, every operational excellence methodology offers a slightly different approach to continuous, positive change. Even a quick online search will bring up dozens of methodologies, so for the purposes of this blog we have summarized four of the most popular and successful. Then, we can examine what they have in common, and why process management is crucial to success, no matter which methodology you prefer. Excess: Excess processing might be extra steps in a process, unnecessary customization, inefficient routings, and other things not necessary or valued by the customer. Six Sigma is a set of tools and techniques that are designed to improve business processes, resulting in better products or services. The goal of Six Sigma is to improve the customer experience by identifying and eliminating variation. This is achieved through the implementation of a measurement-based strategy that focusing on process improvement. The Six Sigma DMAIC process (define, measure, analyze, improve, control) is an improvement system for existing processes falling below specification and looking for incremental improvement. Kaizen means “continuous improvement” in Japanese. In business, it is used to implement positive, ongoing changes in the workplace. The guiding principles of Kaizen are that a good process will lead to positive results, teamwork is crucial to success, and that any process can be improved. Kaizen is part action plan and part philosophy. For example, your philosophy could be to develop a culture where all employees are actively engaged in improving the company. Your action plan could involve organizing events focused on improving specific areas within the company to see this philosophy through. The foci of the Agile methodology are adaptive planning, early delivery and continuous improvement, as well as being able to respond to change quickly and easily. Being Agile means developing quick reactions in order to respond to changes in the marketplace. Agile helps teams increase collaboration by adapting to what the team needs to be successful. It does this by encouraging teams to regularly show off their work and gather feedback so that they can adapt quickly. One important factor is also the focus on retrospective meetings whereby teams assess what went well, what could be improved on and next steps for further production. Scrum is a time restricted method whereby work is broken down into regular, repeatable work-cycles, normally lasting 1-4 weeks, and referred to as sprints. This method is most commonly used by engineering teams to deliver software products, but can be applied elsewhere in an organization too. The idea is the intensive sprints sharpen a team’s focus and require tight-knit collaboration, with more frequent improvements made to the product overtime. Kanban is a priority based method, where tasks are ranked by priority and are not time-based. Kanban is best suited for small teams or teams that don’t produce features for the public or promise certain dates for releases. All four methods allow companies to structure their operational excellence initiatives against a certain model, and all four stress the importance of making the right changes at the right time. So how can you measure the value of a specific method against your organization’s current status quo? The answer is to examine the information you already have at your fingertips. 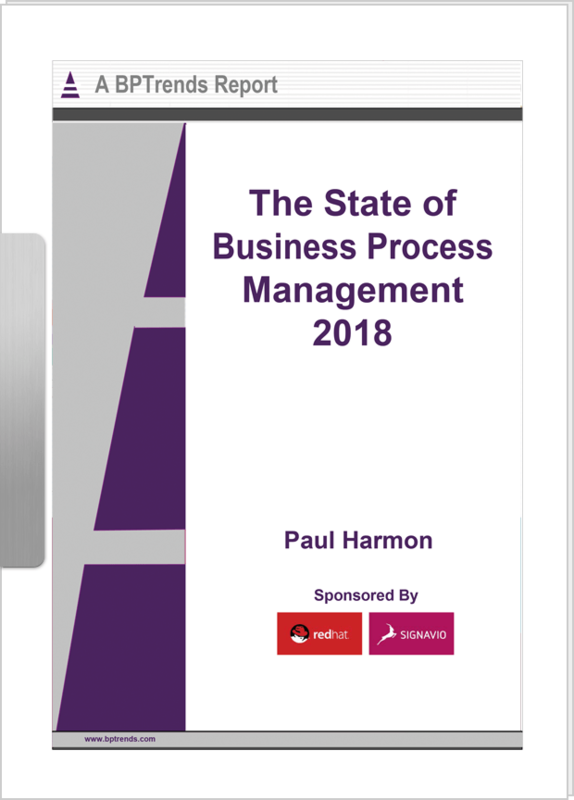 Investing in a Process Mining tool will enable you to automatically mine process models from the different IT systems operating within your business (also known as the “application landscape”) giving you data on how each process is operating. Continuous monitoring of end-to-end processes will provide you with insights into actual and potential waste, help you eliminate costly inefficiencies, and become truly process-oriented. Making operational excellence a priority at your organization involves documenting your processes and regularly comparing the current state with your company goals: defining, measuring, analyzing, improving, and controlling. One of the most important elements of all four approaches is ensuring that you support collaboration. For example, in Kaizen the strategy is that employees at all levels of the company work together proactively to achieve regular, incremental improvements. Operational excellence is a collaborative, team effort! How can you make effective operational excellence a truly process-oriented, collaborative effort? Operational excellence is a mindset that embraces certain principles and tools to create sustainable improvement within an organization. Or to put it more simply, operational excellence is achieved when every member of an organization can see the flow of value to the customer. This value-flow needs to be reflected in every process through an organization-wide, collaborative approach. If you want an in-depth guide on how to bring operational excellence to your business, then Signavio’s 7 Steps to Operational Excellence are a great starting point. The guide is intended to provide a general roadmap organizations can follow towards the goal of operational excellence, independent of allegiances to any particular methodology, although existing frameworks used within your organization could be used during relevant steps. The guide has been structured to provide clear, actionable steps, as well as tips for process practitioners and leaders to follow. The key outcomes of each step are clearly explained, and include issues to be considered at each step for greatest impact. 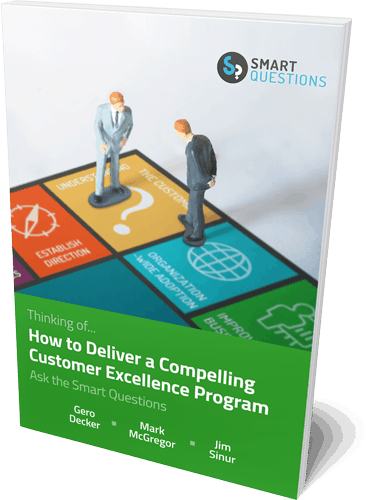 The themes running through the guide include transparency and collaboration, both essential elements to build into an optimized operating model. Download your free copy of the 7 Steps to Operational Excellence guide today! If you’d like to see the Signavio Business Transformation Suite in action for yourself, you can also sign up for a free demonstration.